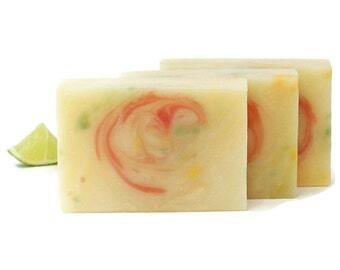 This lovely soap is made with essential oils which intertwine into a fresh citrusy scent -- Lemongrass and Tangerine. 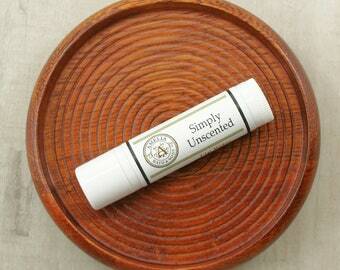 Lemongrass essential oil has a distinctive lemony fragrance with a touch of earthy richness. 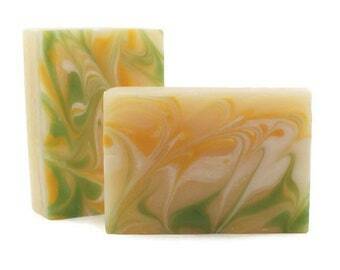 Tangerine's fresh crispness creates a combination of uplifting, fresh-picked goodness. 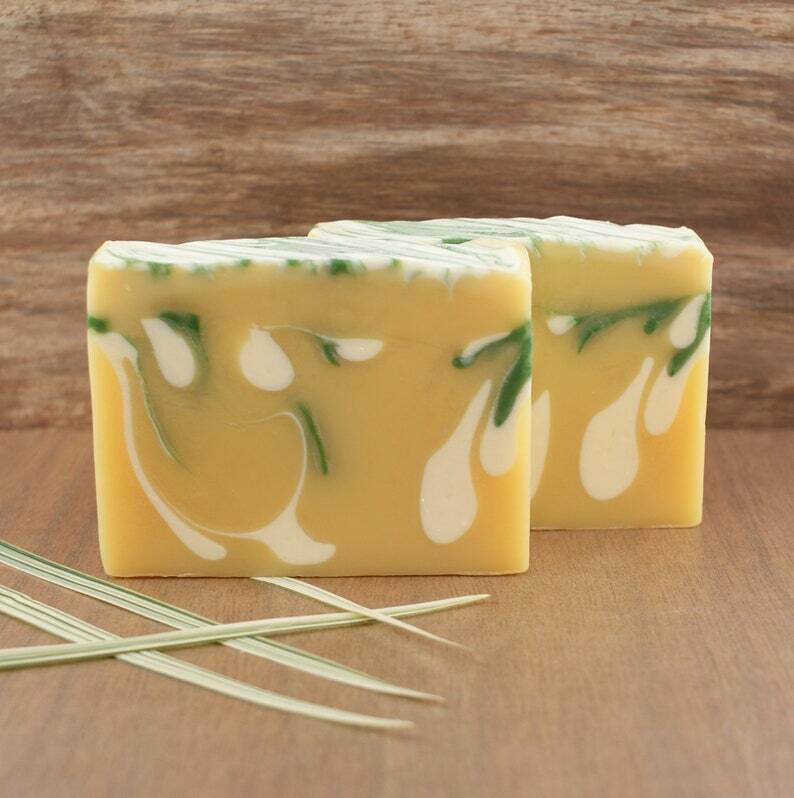 Citrus Lemongrass has the kind of scent that would be enjoyed by women, men, teens and kids. 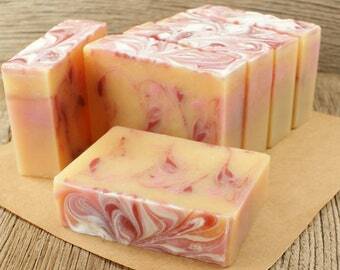 It would make a fun soap for the family with its pretty swirls. 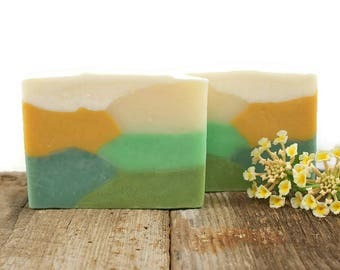 This bar is full of wonderful ingredients…I love to make soaps that are good for your skin. And even better, you will love its wonderful bubbles! 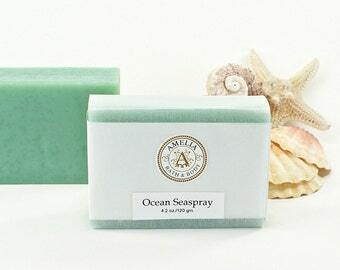 The ingredients in this bar are led by olive oil, known for its ability to soften and condition the skin. 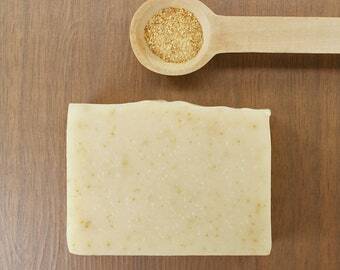 Coconut oil stabilizes and produces an excellent lather. 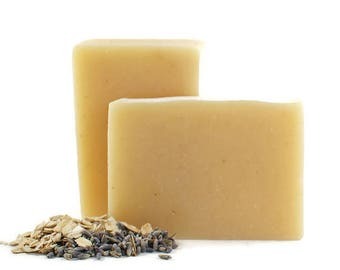 Palm oil (organic and sustainable) gives hardness to the bar. Rice bran oil is full of vitamins and minerals. And castor oil gives a boost of lather. 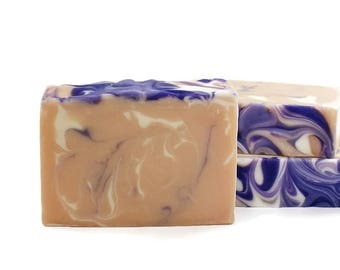 Listing is for one bar of beautiful essential oil soap. 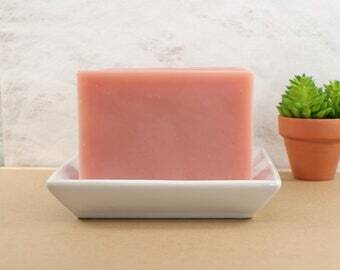 Lovely scented soap! Always shipped in good time. 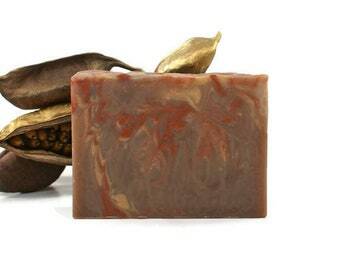 I absolutely love the gardenia lily soap. It smells wonderful. Cannot wait to use it.